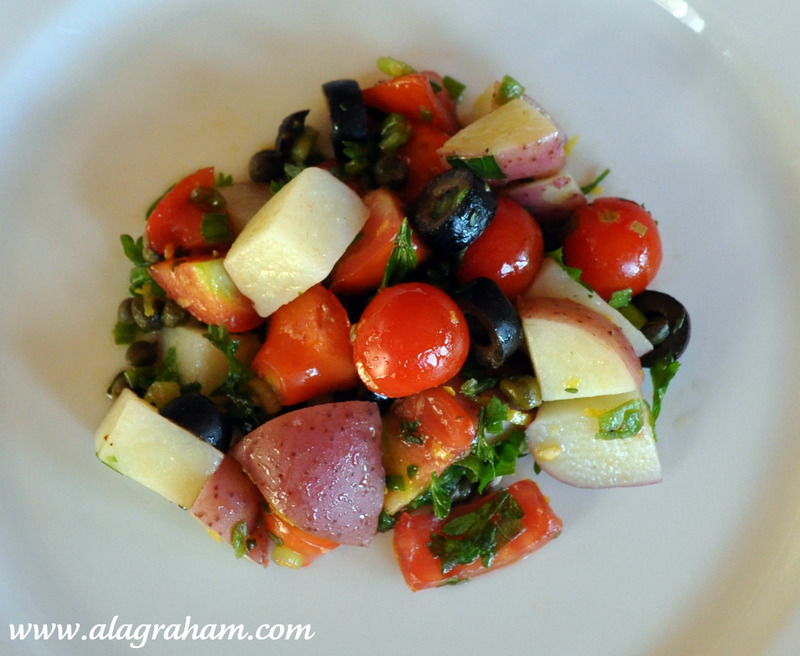 This salad is great especially for those of you who love the idea of a potato salad but not the idea of mayo. Perfect for a picnic on these last few fleeting days of summer. My tomato plants have been picked clean; now we'll see if the few remaining ripen before a frost...autumn weather is here in South Dakota. 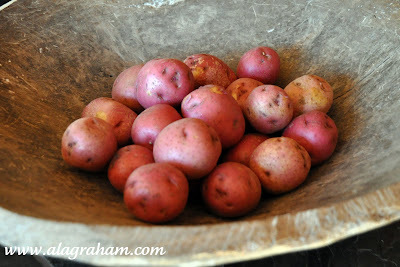 Add the potatoes to a medium saucepan with enough cold water to cover by at least 2 inches. Set the saucepan over medium heat. Bring the water to a boil and continue boiling until the potatoes are tender, about 15 to 20 minutes. 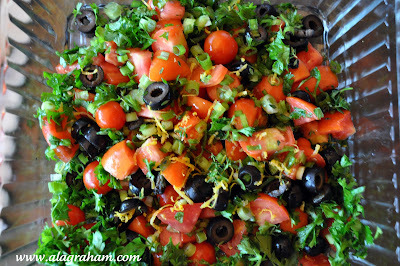 Meanwhile, in a bowl, add the tomatoes, scallions, olives, parsley, capers, thyme, olive oil, and lemon zest. Once the potatoes are cooked, drain the potatoes in a colander and allow them to dry for 5 minutes. Then add the potatoes to the rest of the salad, toss gently until all the ingredients are coated and season with salt and pepper, to taste. 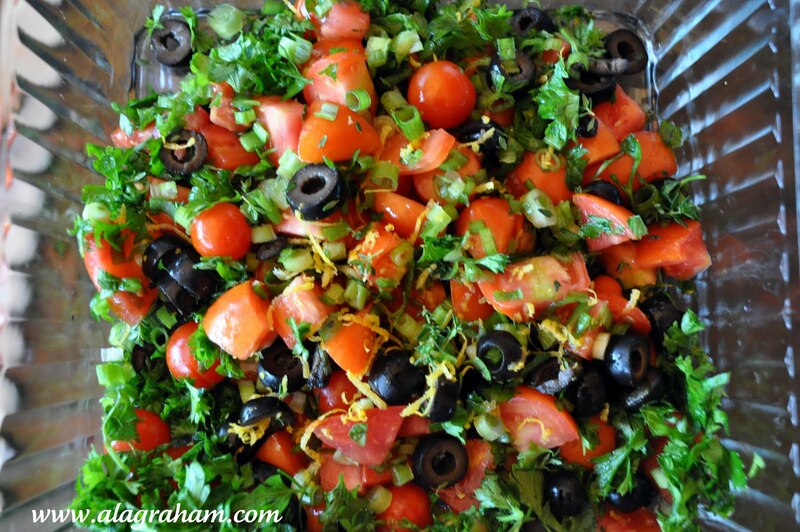 Refrigerate for 1 hour and gently toss again before serving. Your salad is fantastic!! 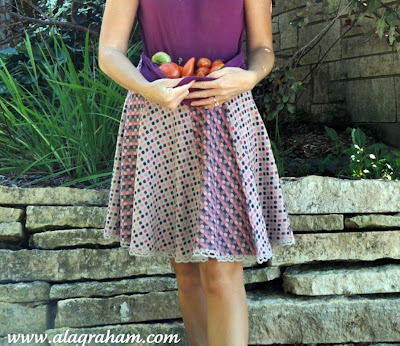 Love all the vegetables colors to eat!! I like what you did here. Different textutes and well put together. Great colors and photography. Yes! 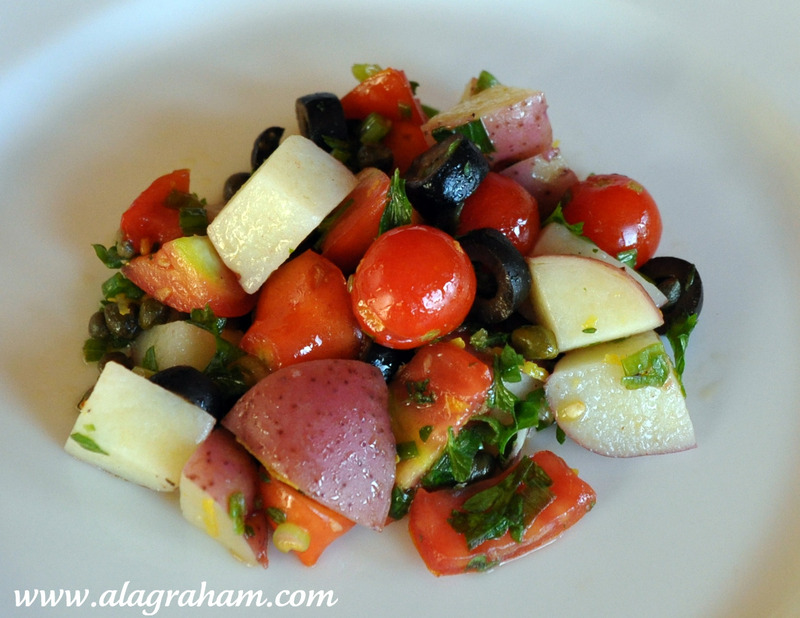 I love how this turns the usually heavy potato salad into something that is fresh and colorful. P.S. I know you love cooking some of Giada's recipes. Just in case you'd be interested, she is actually going to be our featured chef at I Heart Cooking Clubs, starting in October. Each week we will have a loose theme and cook up one of her recipes.